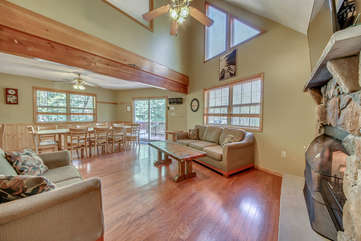 Welcome to Mountain Wood – our modern, 3-story home located in desirable Lake Harmony Estates. 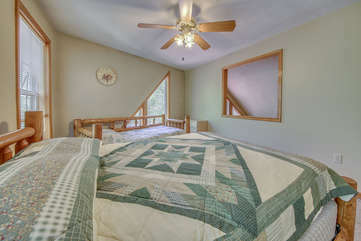 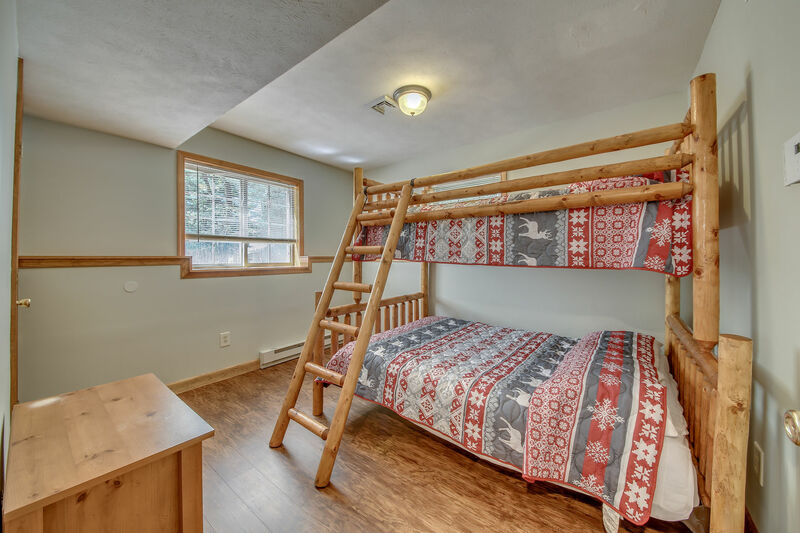 With 6 spacious bedrooms and 3 full bathrooms (2 bedrooms and 1 full bath on each floor) this lovely, modern A-frame comfortably sleeps 15, and is a delight at any time of the year. 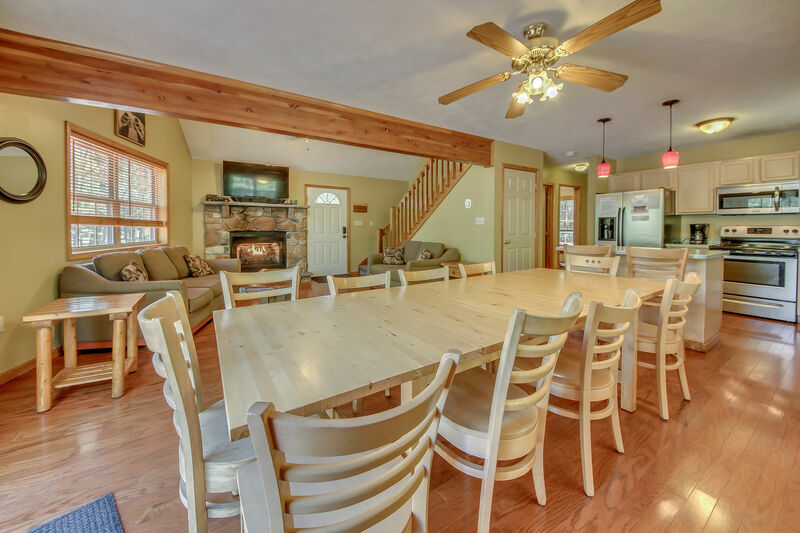 The open concept kitchen/living/dining area makes fabulous use of the abundance of natural light, while the fully equipped kitchen and sprawling dining room table with seating for 10 are ideal for large family gatherings. 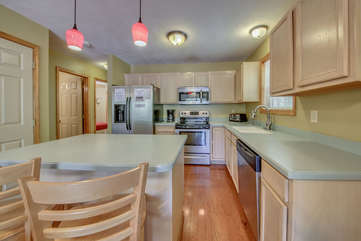 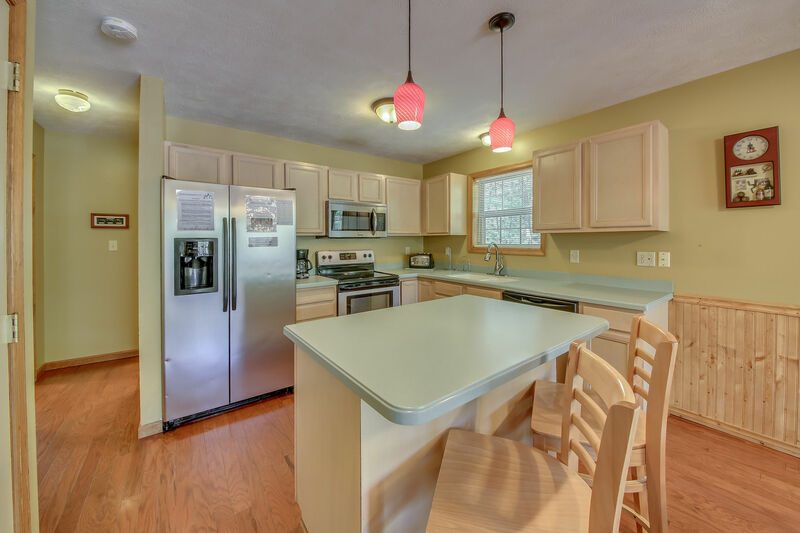 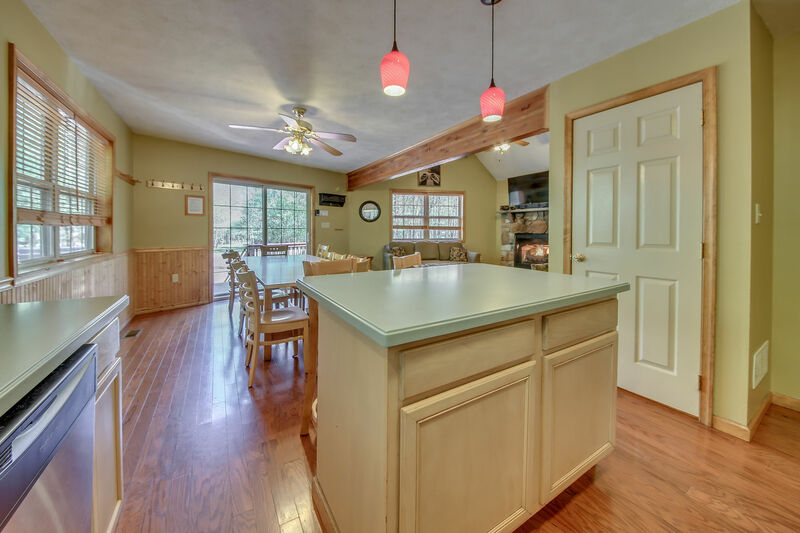 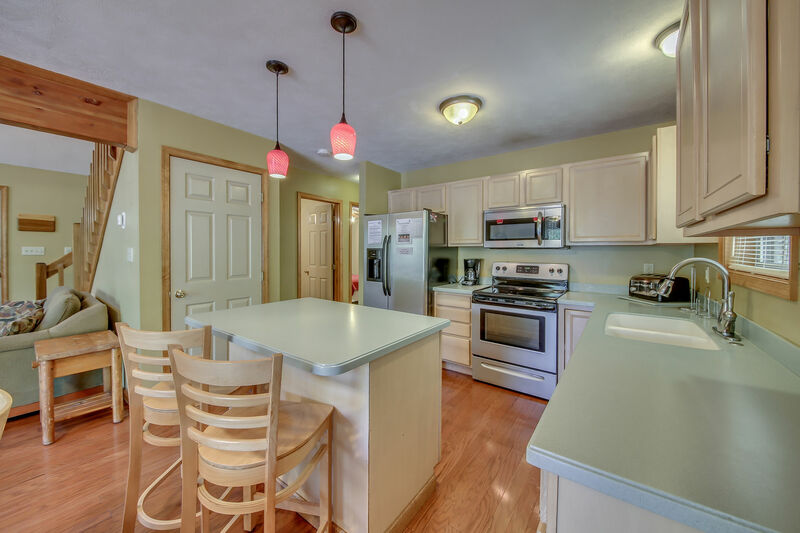 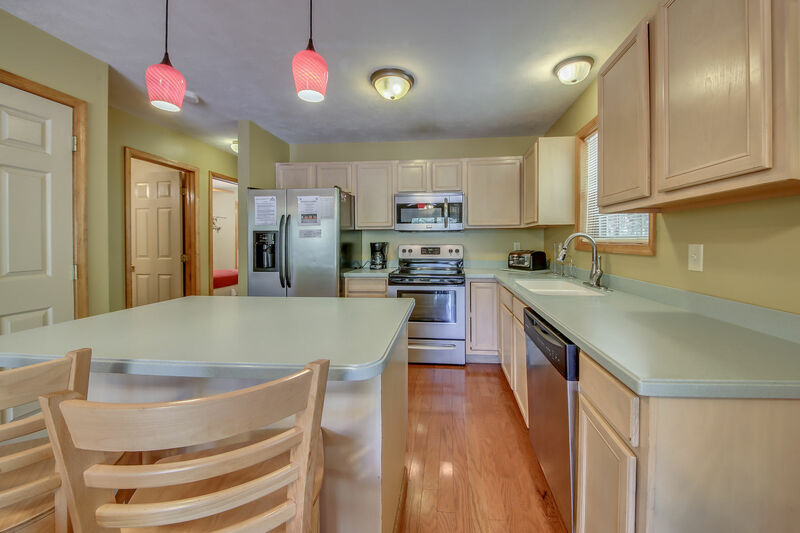 The kitchen island is a perfect place to enjoy a quick meal, or a cup of coffee. 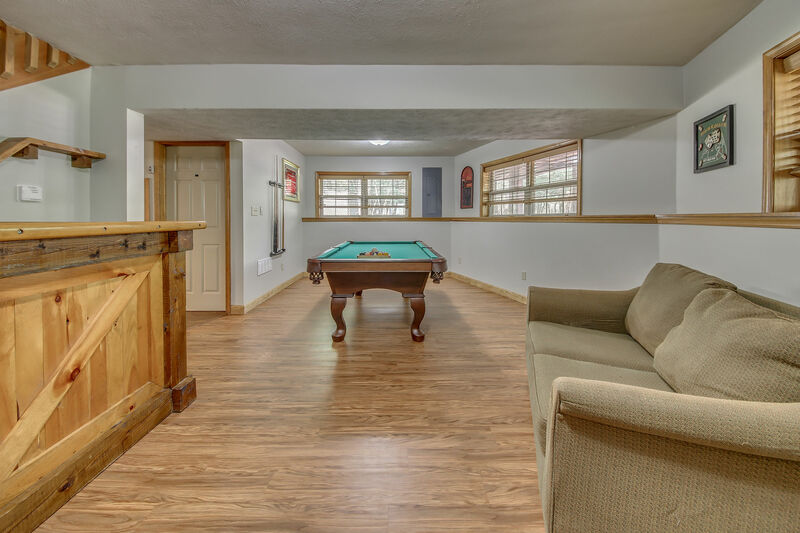 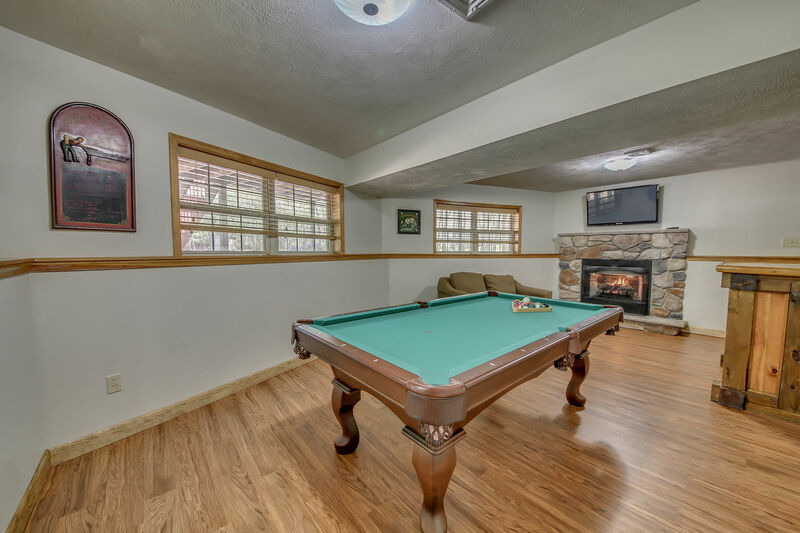 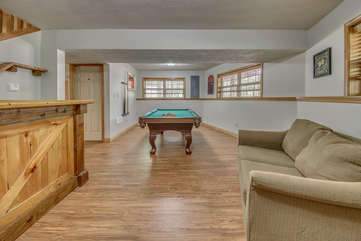 Watch a movie on the living room’s 55” flat screen TV, or get away to the first-floor game room for billiards, some refreshments at the bar, or a great sporting event on the 50” flat screen TV there. 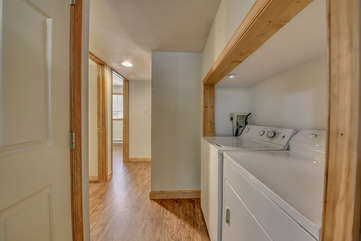 Mountain Wood is just as enjoyable on the outside. 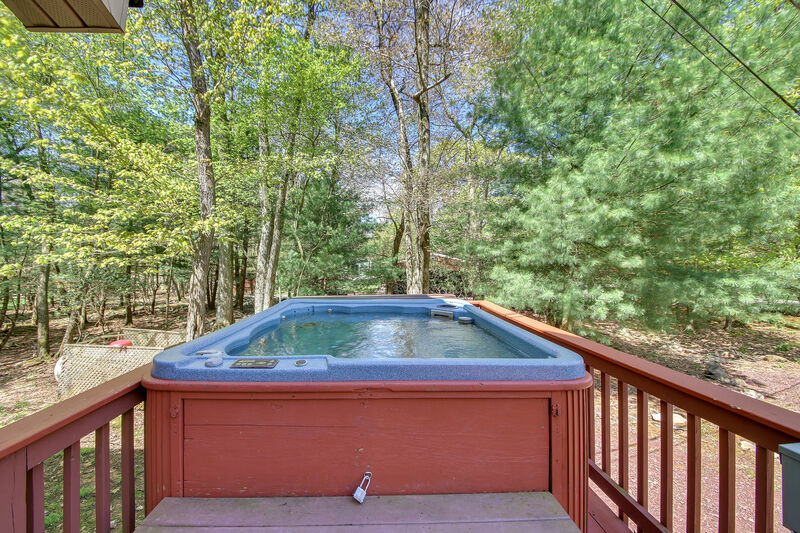 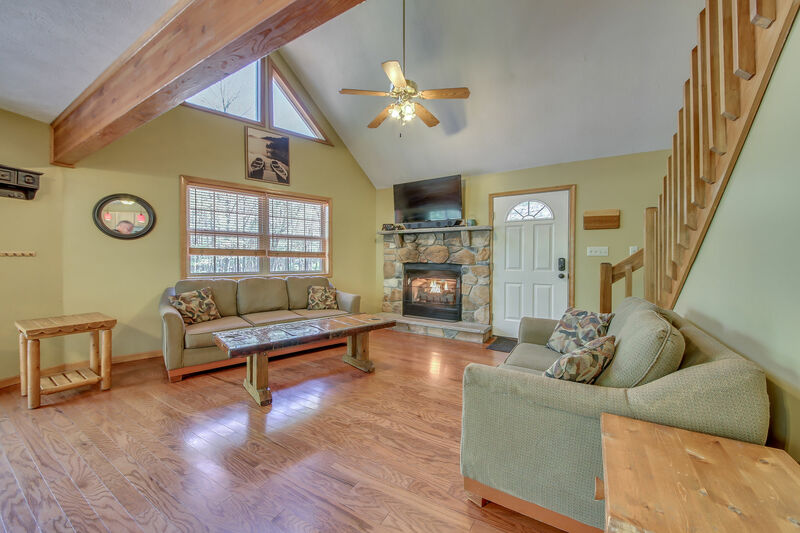 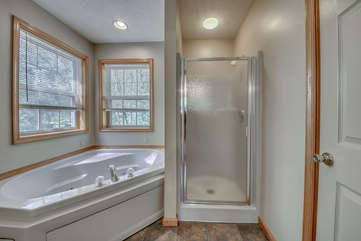 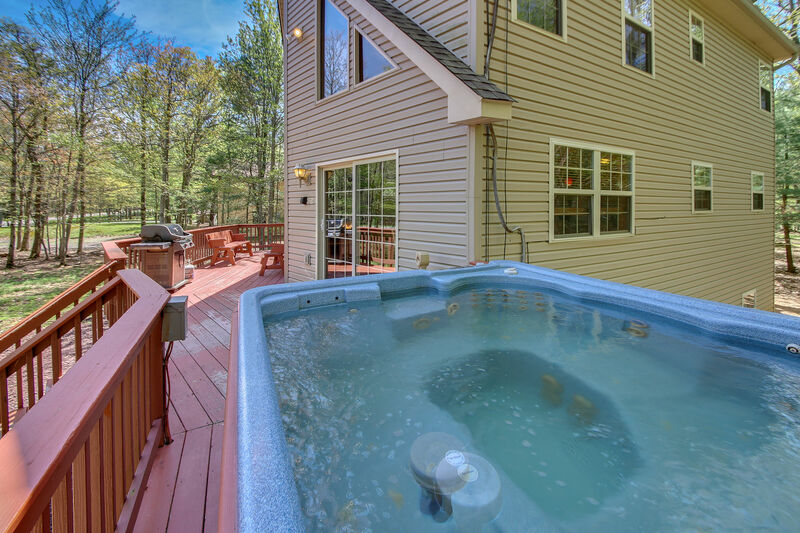 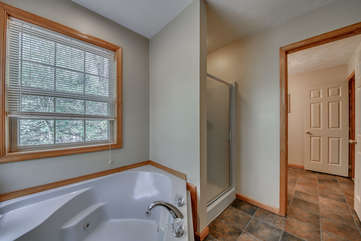 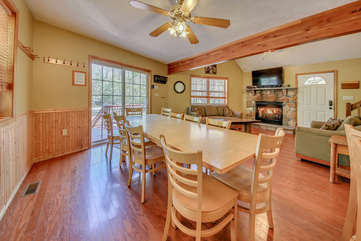 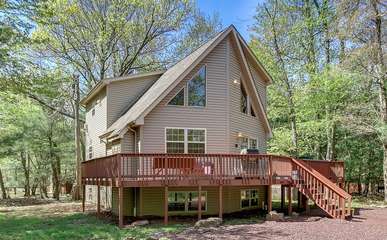 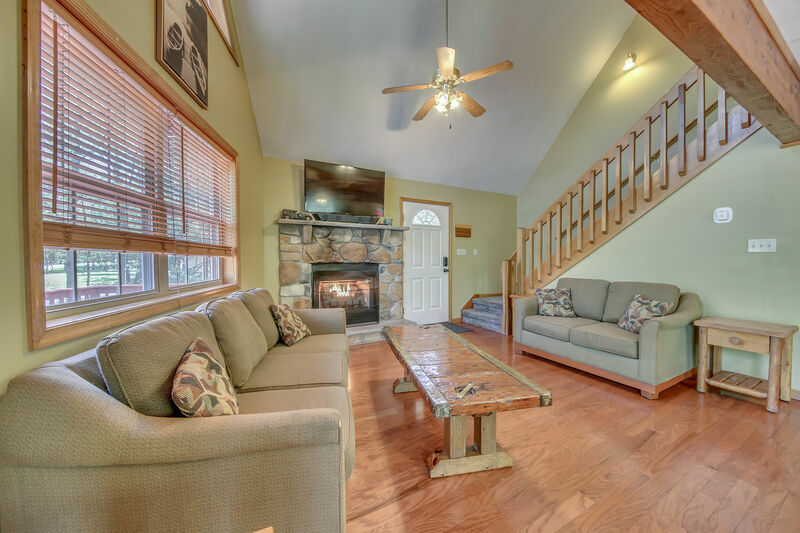 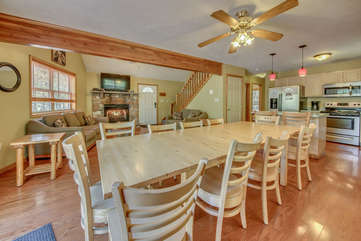 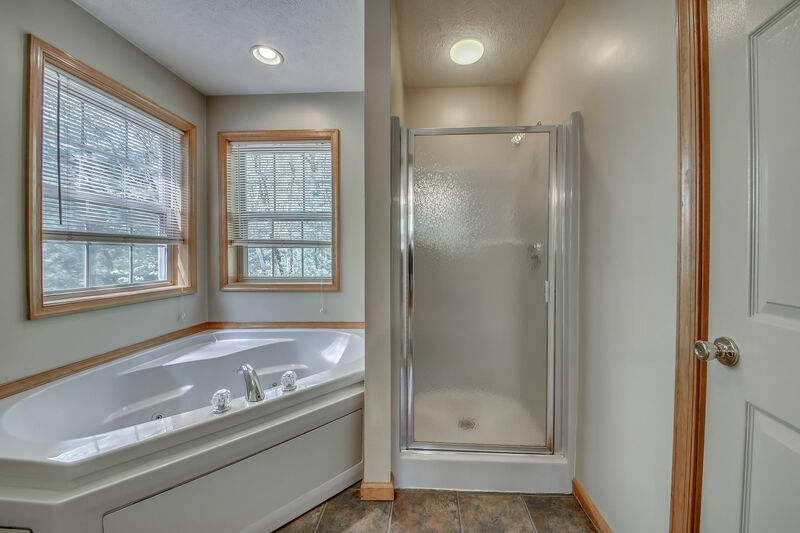 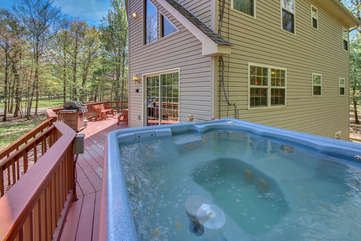 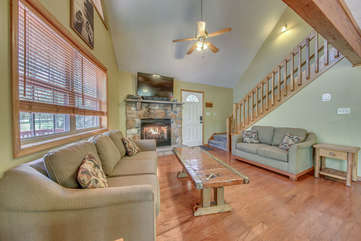 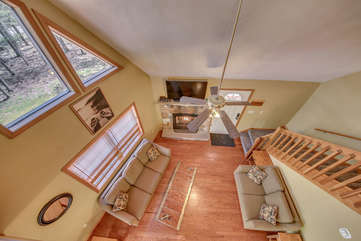 Appreciate the peaceful, natural setting of the home while relaxing on the deck or while soaking in the 6 person hot tub. 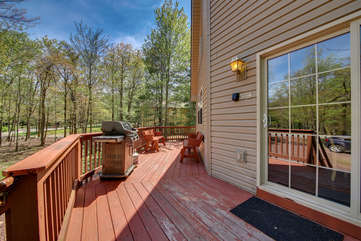 Barbecue your favorites on the Weber gas grill, or order take out from one of many delicious local options. 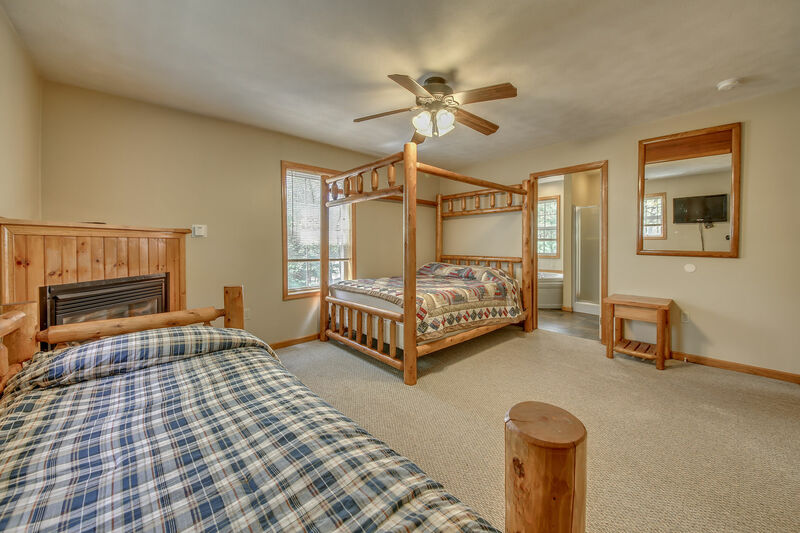 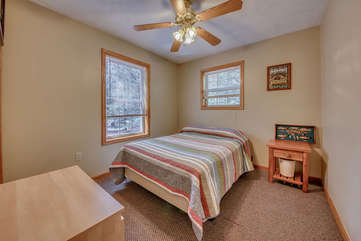 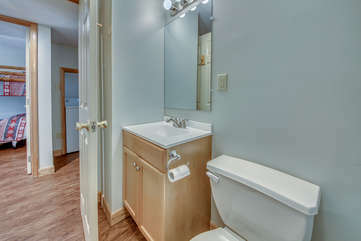 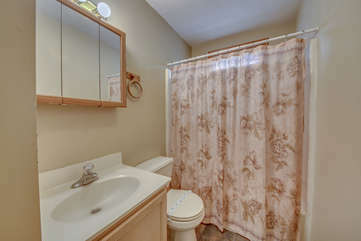 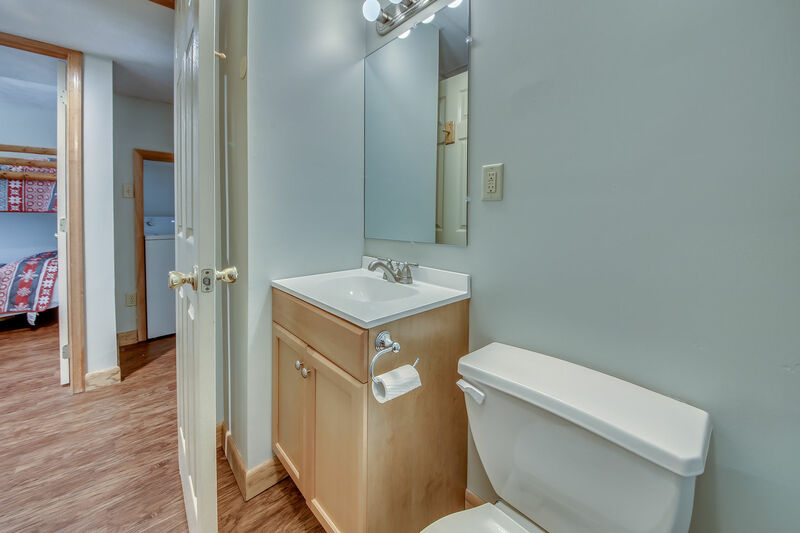 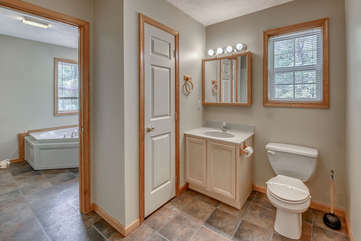 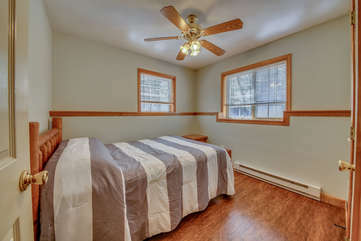 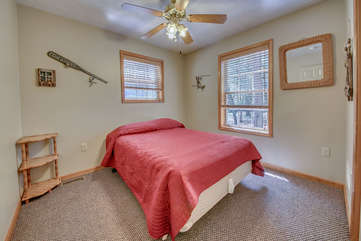 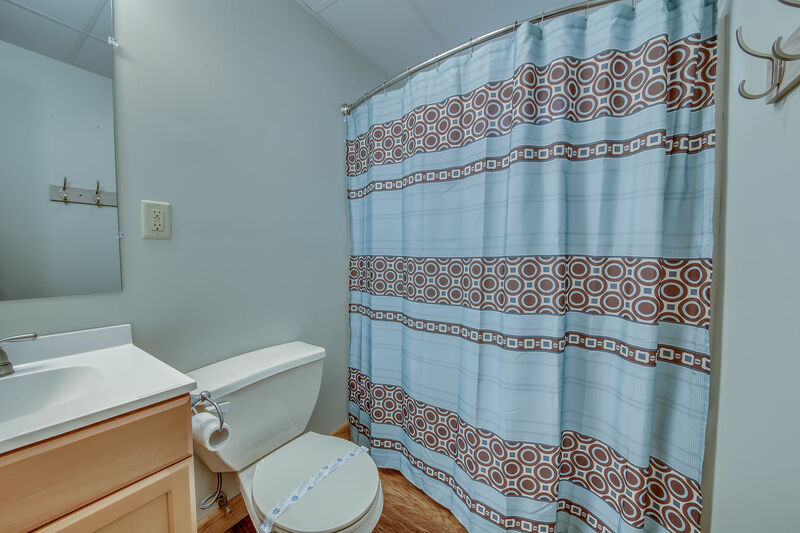 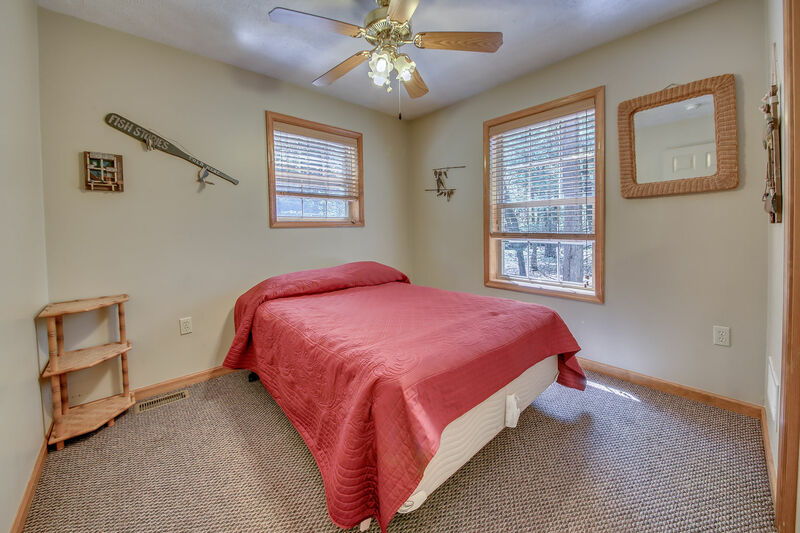 Additional amenities include 3 gas fireplaces (living room, game room, and master bedroom), washer/dryer on the first floor, central air, wireless internet and cable, and a soaking tub in the master bedroom. 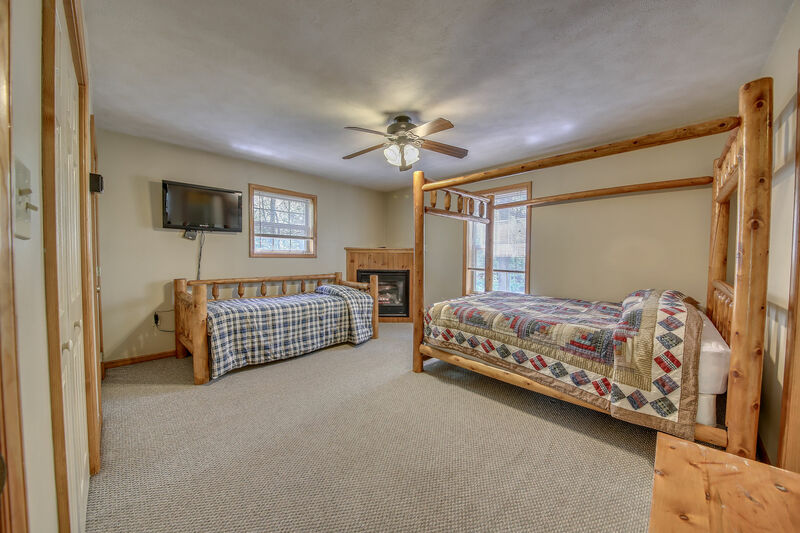 Warmer months will have you enjoying the private community beach and tennis courts as well as ATV tours, mini-golf, basketball, volleyball, paintball. 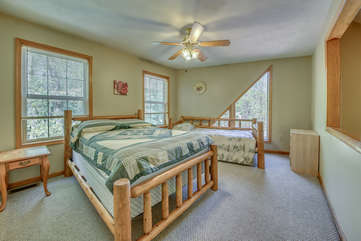 Winter will give you a chance to carve up the slopes at either Big Boulder Mountain or Jack Frost Ski Resort. 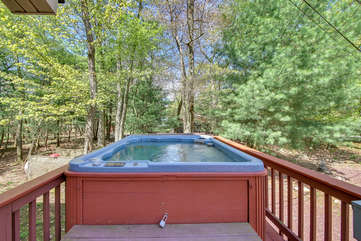 Other close-by offerings include H2Oooohh! 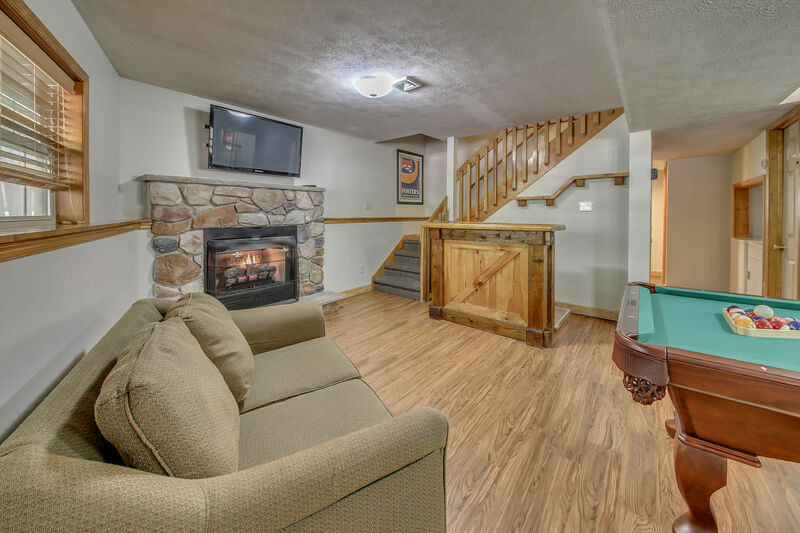 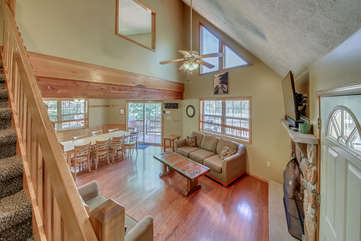 Indoor Water Park, a movie theater, a bowling alley, and some excellent bars and restaurants making this home the spot to enjoy all the mountains and the woods have to offer!